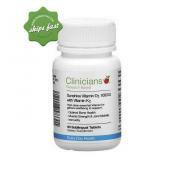 Clinicians Sunshine Vitamin D3 1000 IU K2 helps support optimal bone health, muscle strength, joint mobility and immunity. 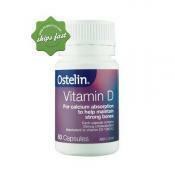 Ostelin Vitamin D3 1000 IU assists with effective calcium absorption and helps to maintain muscle strength and bone health while helping reduce the effects of bone loss. 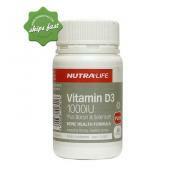 Nutralife Vitamin D3 1000IU Plus Boron and Selenium capsule is a powerful, one-a-day formula that is specially formulated to assist bone and immune system health. 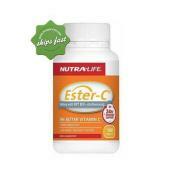 It contains a blend of high strength 1000IU of Vitamin D3 plus important bone-supporting antioxidants. It is the only vitamin that you don't get enough of from the diet because it is processed by the body through the skin's response to sun exposure. The body does not generate vitamin D when you are inside your car or at home because sunlight cannot penetrate through glass. Vitamin D plays an important role in calcium absorption in the intestines. When taking calcium supplementation, it is necessary to have adequate amount of vitamin D otherwise the body will not absorb the calcium. Using sunscreen blocks the body from its ability to generate vitamin D by 95%. Even with a very low SPF, it still impedes the process of synthesizing vitamin D from sunlight exposure. There is no danger of getting an overdose of vitamin D from sunlight exposure because the body self regulates production and only generates what the body needs. 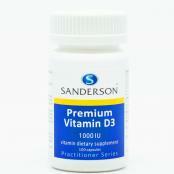 Vitamin D is the only vitamin you get for free because it is generated through sun exposure. Vitamin D synthesized by the body through sun exposure is non-toxic because it is self-regulating. However, when taken in supplement form, it may cause some side effects. The good news is there are no records of Vitamin D supplement side effects that we are aware of in amounts under 40,000IU per day. What are the common signs of vitamin D deficiency? What are some natural sources of vitamin D? Sunlight may be the most common source of vitamin D, but there are also natural sources that can be regularly included in one's diet. Vitamin D foods are mostly animal based and include fish like sardines and mackerel, fish oils, egg yolks, cheese, fortified milk and beef liver.